Here's my April layout with Stick It Down. This is an old photo of the kids at zoo. 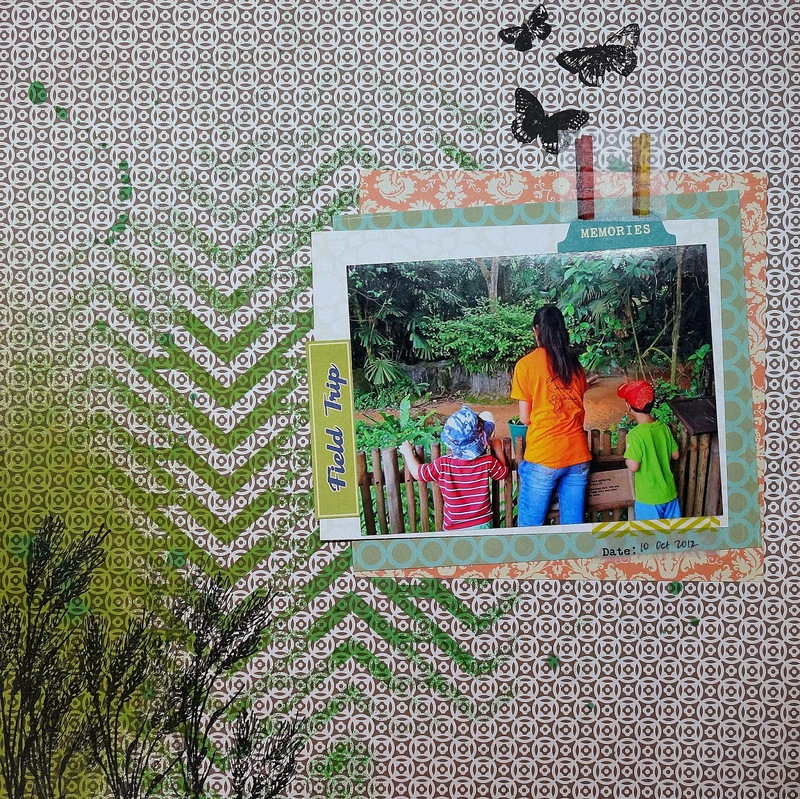 I made this simple, inky background to the busy Studio Calico 'basic' paper and added some stamps to fit the stetch. Meantime, do check out the site for other inspirations by the talented bunch at Stick It Down! Come play along and have fun! WOW!!! This is GORGEOUS!!!! Love the color and paper combo!! Love the stamping and misting! Beautiful!